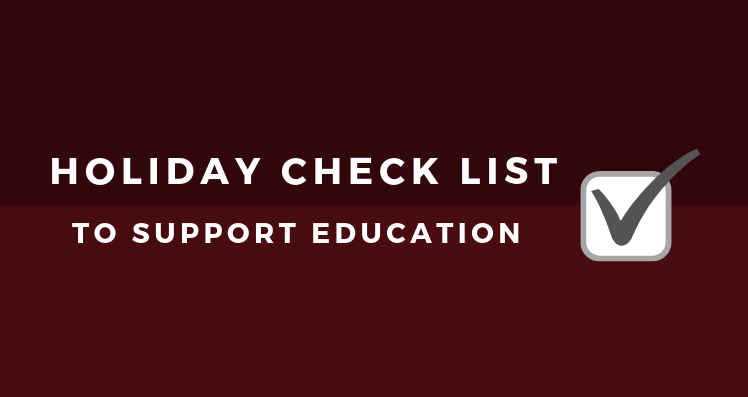 This holiday season, there are five easy and fun ways to support education in Seminole County Public Schools! #GivingTuesday on November 27th reminds us all of the true spirit of the holiday season. The Foundation encourages donations of all sizes to support SCPS students in need. Also, Facebook will be matching all donations made through our Facebook Fundraiser that day. As you begin your holiday shopping remember to use your SCPS CFE debit card. Every purchase benefits our students and teachers. 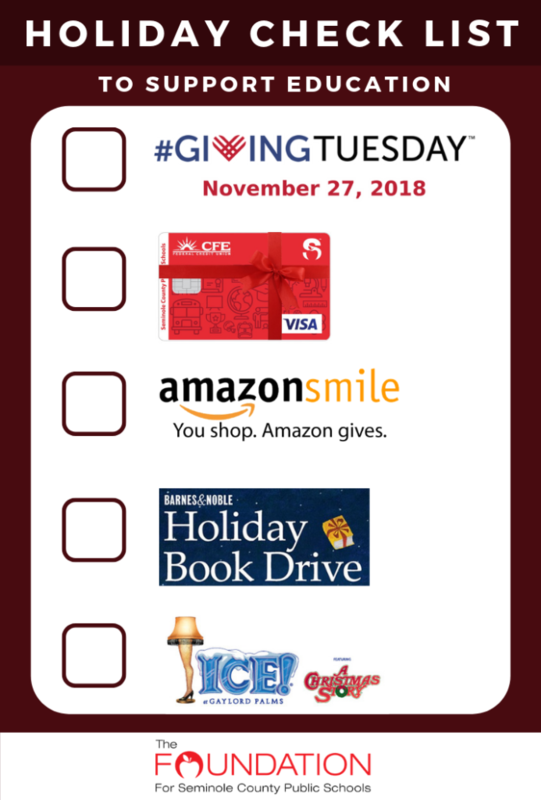 You can do a lot with “A Smile.” Add The Foundation as your Amazon charity of choice through Amazon Smile and Amazon will donate a portion of all your purchases – at no cost to you. Barnes & Noble Oviedo and Barnes and Noble Altamonte Springs have once again chosen to support SCPS struggling readers and high-risk students through their Holiday Book Drive. While holiday shopping, consider making a book donation part of your story. Barnes and Noble will also be hosting Bookfair benefiting the Foundation on December 8th. Make holiday memories with Christmas at the Gaylord Palms, featuring ICE! Use our EFSEM promo code to receive a special discount while still supporting The Foundation.